Mai Tai is named after the tropical cocktail. Jetty started the group in 1983 together with her friends Carolien and Mildred. In Holland they had 13 hit records, the international breakthrough came with History in 1985. This song was successful all over Europe, became a top 10 hit in England and reached the top 20 in Germany. Also in New Zealand and Australia it entered the top 10 and in New York it was number 1 in the dance charts. Mai Tai got the BPI silver record for more than 250.000 copies. The girls were regular guests in Top of the pops”, “The Tube”, “Des O..Connor Show”, “Soul train” and many other shows. The single Body and Soul followed, top 10 again in England (also in South Africa, Japan, Brazil). Female intuition entered the Billboard charts in the USA and several other songs made it to the Billboard Dance Charts. In Holland their first album got an Edison (Dutch Grammy) and in England it became number 1. They received the Midem Award at the Cannes Music Festival and the Silver Harp in Holland. 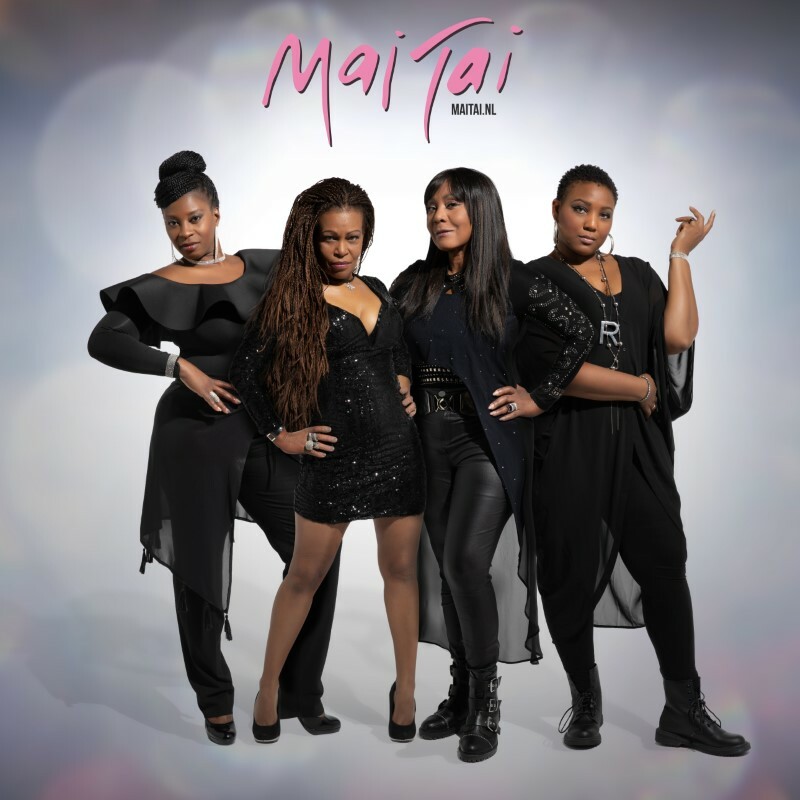 Mai Tai made 3 albums in the 80’s, followed by some compilation albums (the last one in 2000) In 1989 the first part ended and in 1992 History was remixed and Mai Tai started a second life, but without Mildred. This lasted till 1996, a period with new songs and new member Lisa Noya, being successful in Germany. Later the song Afrodisiac scored in France and Scandinavia. A new remix of History hit the dance charts in England. From 2001 Mai Tai starts to perform again due to popular demand and the revival of 80’s music., sometimes together with Mildred again. In 2004 Mai Tai participates in the Dutch pre-selection of the Eurovision Songcontest. Mai Tai is from then on Jetty, Carolien and Marjorie. Their chemistry works and they perform a lot in Holland. They are giving their career a new impulse by recording new songs in 2005, of which the first single is Don’t forget to live , produced and mixed by Almighty Associates. Later that year a ballad is released called Don’t be afraid . Recently they have recorded Automatic , the old Pointer Sisters’ hit in a dance version, again produced by Almighty.